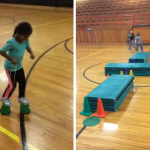 Plan some Thanksgiving themed activities in your physical education class! 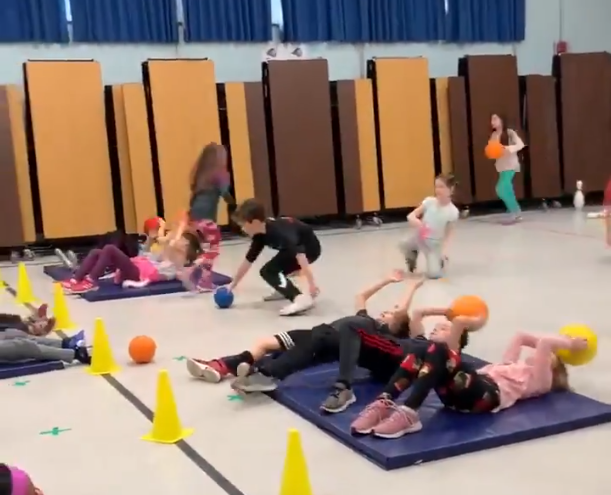 PE teacher Nicki Case shares 3 turkey activities to try for your program – Build a Turkey, Turkey Trot, and Turkey Fitness. The first two activities are usually done at the same time. Half of the students are doing the Turkey Trot and half of them are doing Build a Turkey. Then switch at the half way point in the class. Students are put into groups along the edge of the gym. I spread out all kinds of items along the middle of the gym. Hockey sticks, hula hoops, scarves, cones, balls, fox tails, noodles, poly spots, etc. You can set out anything you think would help them to create a turkey. They head to the middle of the gym in relay style and bring one item back at a time. Each item they bring back needs to be used to “build their turkey”. I let them build it however they want to. Some of the groups may build up and some will keep their turkey flat on the ground. I leave time at the end so that all the groups can go look at the other turkeys. I also take a picture of the kids with their turkey. They will then return all the items and it is ready for the next group. Students are put into groups along the edge of the gym. Each group has a scooter and a bucket. Cones are set up at the middle of the gym. On the top of each cone, there is a poly spot/star that I have stuck in the top of the cone. I stick clothes pins all over the edges of the stars. I also printed off silly turkey pictures and taped them on to the cones. Students use the scooters, relay style, to travel to the turkey pen. I have them stop at a certain line and get off their scooter for safety. They go pick a feather/clothes pin off one of the turkeys, hop back on their scooter, and bring the feather back to their bucket. All groups repeat this activity until all the feathers are gone. They may go to any of the turkeys, not just the one in front of them. When all feathers are gone, you can have them count and see who has the most. Now it is time to do it in reverse order. The students will scooter up and return a feather to a turkey. Continue until all feathers are returned to the turkeys. 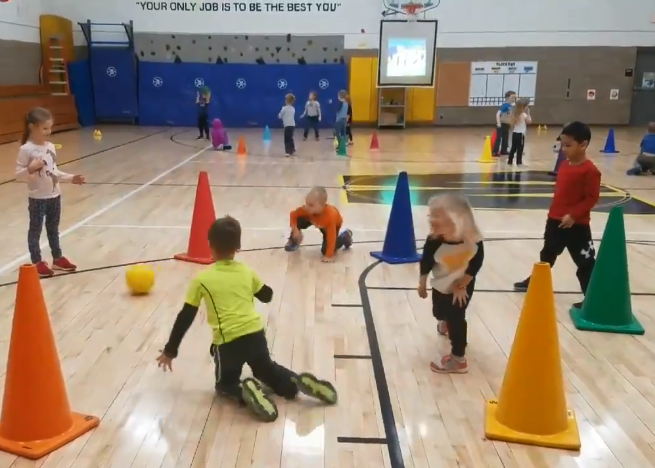 I line up one end of the gym with orange and yellow cones or plastic pumpkins, along the 3 point line. 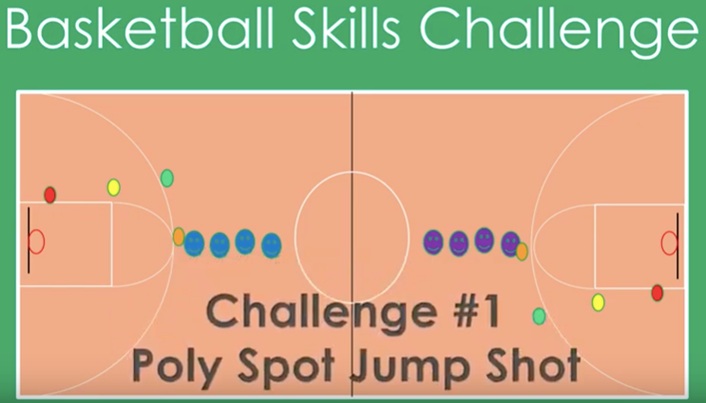 I scatter foam pumpkins and turkeys upside down along the outside of the 3 point area. Items needed for the fitness activities are also scattered out on the court. The pumpkins all have an aerobic type of task written on them. The turkeys have a basketball related task on them. I tell students that they have to alternate picking a turkey and a pumpkin. I also emphasize going to a different one each time. Kids meet in the “Turkey Pen” to do Rock, Paper, Scissors. Winner runs to one of the turkeys or pumpkins and flip it over and read the activity. Before they leave to carry out their activity, they turn it back over for the next person. Students will go complete their task and then return to the turkey pen to repeat RPS with another student. If a student loses the RPS match, they stay and find another partner to challenge. For a tie, both go to pick a pumpkin or turkey on their own. Nicki Case is a Physical Education teacher at Marion Elementary School in Marion, KS. 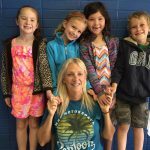 She teaches grades K-5 and is currently in her 8th year of teaching PE. Nicki also taught 6th grade for 20 years before that. During the first 5 years of those 20 in the classroom, she also was their PE teacher. 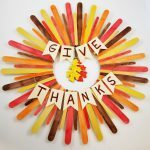 This entry was posted in Fall, PE Activities & Games, PE Central and tagged build a turkey, fall, fall PE ideas, Nicki Case, PE Central, pe teacher, PE thanksgiving, physed, Physical Education, thanksgiving, thanksgiving activities, turkey fitness, turkey relay, turkey trot by S&S Worldwide. Bookmark the permalink.